We are delighted to recommend the following companies that we work with. If you require any further information before contacting them please do not hesitate to ask us. They have recently celebrated their 30th anniversary operating in the resorts of Courchevel 1650 and La Tania and are very highly regarded throughout the industry. The high number of returning clients each year pays testimony to the high standards that Liz and Nick Morgan have set over the years. We love working with this La Tania specialist as their guest are always so happy! The owners Andrea and Phil are always on hand to make sure their guests are well looked after and having the time of their lives. If you looking for a little bit of luxury in Courchevel 1850 then look no further than these guys. Beautiful chalets and apartments and the attention of an amazing team of resort staff make these guys a considered choice in this upmarket resort. A relatively new addition to the Courchevel scene and one that we know have a very bright future. Marcus, Sam and Jimmy have years of experience looking after guests and have added their own unique take on the Boutique Chalet experience. It’s fair to say that they’re pretty good skiers too! We are so fortunate to have our uniforms supplied by Sweet Protection, not only do we share a similar name be we share core values and a commitment to excellence. Based out of the small village of Trysil, in the midst of the Norwegian wilderness and close to the mountains, they have developed helmets, protection equipment and technical clothing since 2000. Their award winning team of designers, skilled technicians and amazing team of riders including the one and only Aksel Lund Svindal are pushing the envelope of functional equipment. The correct equipment is so important when it comes to skiing. It can make the difference between a good day and a fantastic day! We are so lucky to be supported by Rossignol and we will happily talk you through the equipment that we would recommend you go for. Call or e-­mail us with your questions. You can’t go far these days without seeing their ‘Drop Cliffs Not Bombs’ slogan. Check out the fantastic range of Hoodies, T-­Shirts and Beanies that they offer online or in a growing number of shops. We are very pleased to be wearing the Huck Cancer logo on our jackets this season to demonstrate our support for this great foundation. Huck Cancer is a non-­profit organisation set up so skiers and snowboarders can show their support in the fight against cancer, helping to benefit the lives of patients in both the UK and France. They support multiple charities including Macmillan as well as the Centre Hospitalier in Chambery. Situated in the centre of Courchevel 1650 and run by a group of dedicated (and pretty talented) skiers The Boot Lab specialise in all things feet! You can rely on fantastic advice and service and relax in the knowledge that all ski boots purchased in-resort, come with a comfort guarantee. The shop is also the home of an emerging brand called Fork Tree Skis and is a great place to pick up the coolest kit from Ortovox, Snowpulse, G3, Marker, Gecko, Plum, Hestra and Scarpa. These guys are located in the wonderful Porte du Soleil ski area and offer a great range of ski lessons. We have worked closely with many of their instructors over the years and have no hesitation in recommending their services to those of you traveling to this area. Craig and Dani have worked in a number of resorts throughout the Alps and have recently set up Lime Snowsports in La Plagne. They are offering a range of Adult and Children’s ski lessons and will tailor make a package to meet your requirements. Contact these guys if you are looking for expert tuition from some of the best British instructors in the Espace Killy ski area. Our friends, Heather and Andy, run their small but perfectly formed chalet company in the picturesque village of Les Allues, Meribel. They offer fantastic value for money in a relaxed setting with excellent home-cooked meals and 5 star service as standard. 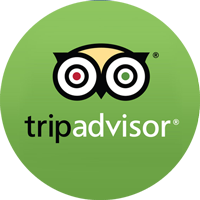 Ranked #1 on TripAdvisor, Meribel’s Delicious Mountain offer the very best in luxury catered chalet holidays. Their chalet, La Chouette, provides 16 guests with all the comfort and indulgence which the name Delicious Mountain would imply. We’ve experienced their hospitality and know you can expect the finest cooking and the very best service throughout your stay. These guys will pick you up from Geneva, Lyon, Chambery or Grenoble airports as well as offering a service from Lyon, Chambery and Moutier train stations. They are operating a great fleet of vehicles but our favourite has to be the Audi RS4! Contact Sky 2 Ski for a competitive quote on private and shared transfers to La Tania, Meribel and Courchevel.